The practice has completed a project to refurbish and improve the security of the Lakeside medium-secure Mental Health Unit reception facility. 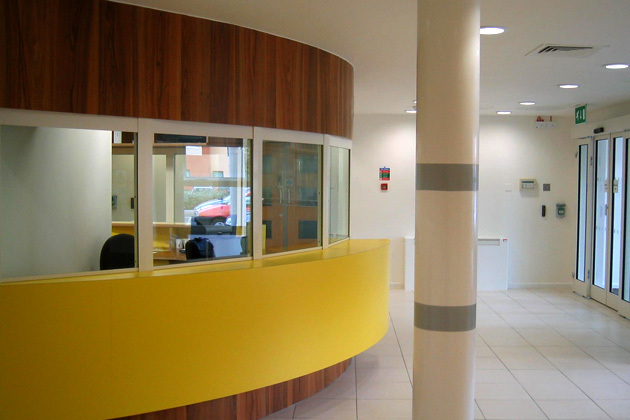 The brief was to create a secure reception area serving two wards (T-block and O-block), the Lakeside Unit itself, and outpatients visiting the Psychiatry and Psychology departments. 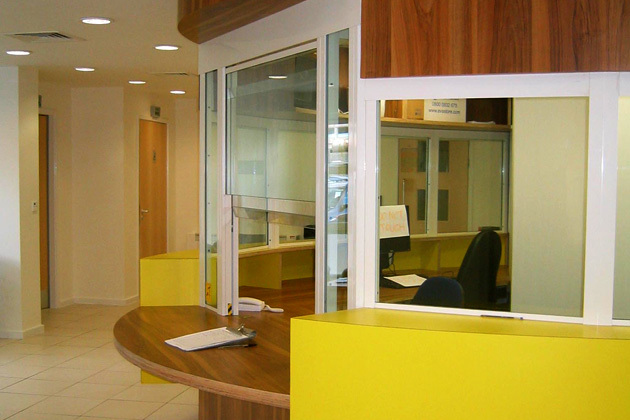 The projecting shape of the desk, and its fully-glazed security screen, provides reception staff with a 270º view of the area. CCTV has been installed to monitor the external spaces. The colour scheme is one step removed from that of usual health facilities, in response to the client’s request for a modern and light space rather than one that has a clinical or institutional feel.